Heart failure is the inability of the heart to fill the blood and pump to all parts of the body. There are different types of heart failure, namely normal ejection fraction heart failure and reduced ejection fraction heart failure. Inotropes are especially useful in reduced ejection fraction heart failure. The role of the inotropic agents is to increase the ejection fraction of the heart. Ejection fraction determines the amount of blood pumped from the heart with each heartbeat. In the case of heart failure, this fraction is reduced. The reduction might be because of the structural changes in the heart or because of any functional defect. The normal value of the left ventricular ejection fraction is 55-70 %. In the case of heart failure, the ejection fraction reduces to 40 %. These percentages represent the amount of blood that is pumped out from the left ventricle with each heartbeat. If the heart failure is not properly treated, in addition to morbidity, the chances of sudden cardiac death and cardiac arrest occur. The increase in the calcium concentration leads to an increase in contractility. Digoxin achieves this by inhibiting the sodium–potassium-ATPase pump in the myocardial cell. The inhibition of this channel leads to an increase in the concentration of intracellular sodium. In order to balance the concentrations of the sodium, the sodium–calcium exchange pump is activated, which, in turn, causes an increase in the influx of calcium. Digoxin also reduces the activation of the sympathetic system. This is achieved by means of increasing the sensitivity of the baroreceptor. Digoxin is available in the oral form for the treatment of chronic heart failure. The serum digoxin level correlates with the safety of digoxin in the patients. The optimal level, to which digoxin is to be maintained, is from 0.5 to 0.8 ng/ml. In patients with heart failure with reduced ejection fraction, along with atrial fibrillation and who do not have an additional conducting accessory pathway, IV digoxin might be used. In addition to heart failure, it is also used in the case of supraventricular tachyarrhythmia. Atrial tachycardia, with or without associated block, first, second and third degree heart block ventricular bigeminy, ST segment depression, ventricular tachycardia, rashes (especially maculopapular), nausea, diarrhea, edema in the laryngeal region, and visual disturbances (yellow vision). This occurs, especially after the serum digoxin level is greater than 2 ng/ml. The symptoms include loss of appetite, the sensation of vomiting, visual changes, and cardiac arrhythmias. The electrolyte imbalances like hypokalemia, hypomagnesemia, old age and thin and lean body weight, are some of the risk factors for digoxin toxicity. The ultimate effects of the PDE-3 inhibitor are to increase the inotropic effect by increasing the influx of calcium from the sarcoplasmic reticulum. The drug also causes a positive relaxation of the heart by causing the reflex of calcium into the sarcoplasmic reticulum. The drug achieves this by means of inhibiting the PDE-3 enzyme, which is responsible for the degradation of CAMP. The inhibition leads to the increase in the amount of CAMP, which, in turn, activates the cardiac calcium channels causing an increase in the influx of calcium from the sarcoplasmic reticulum by means of increasing phosphorylation through protein kinase A. In addition to just direct activation, the drug also has a calcium-induced calcium release (CICR) potentiation action. The additional action of vasodilation seen is because of the inhibition of the phosphodiesterase present in the vascular bed. These drugs are especially used for the treatment of heart failure, along with the presence of cardiogenic shock. For intravenous Milrinone, though studies have shown that it improves the functional status of the heart in patients with advanced heart failure with reduced ejection fraction along with the reduction of hospitalization, some big trials like OPTIME-CHF have shown that it is associated with an increase in the risk of arrhythmia, hypotension, and in-hospital mortality. In OPTIME-CHF, the drug was investigated against the acute exacerbation of chronic CHF. 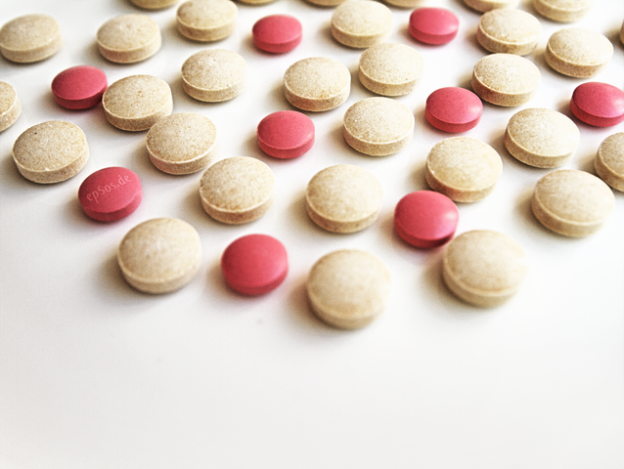 In a Cochrane review in which 21 clinical trials were reviewed, it was shown that the chronic use of phosphodiesterase inhibitors is to be discouraged and avoided. The use of PDE inhibitors was associated with an increase in the relative risk of 1.17 when compared to that of a placebo. The findings are confirmed in large trials like the PROMISE trial. The increase in the risk with the chronic oral use is hypothesized due to the increase in the arrhythmia, though the exact mechanism is not known. The combination of a beta blocker and PDE inhibitor has shown good outcomes when used in advanced refractory and class 4 heart failure patients. The drugs in this group cause a decrease in the platelets (thrombocytopenia), an abnormality of rhythm (arrhythmia), sudden death, vertigo, and the increase in the level of liver enzymes like transaminase. Though overall, Milrinone is deemed beneficial, and there are some studies to suggest that there is an increase in the arrhythmia risk following its use in cardiac surgery. Dobutamine, Dopamine and beta blocker with intrinsic sympathomimetic activity like Xamoterol. The Dopamine effect varies according to the dose. At therapeutic doses, the drug has an effect on both dopaminergic and beta 1 adrenergic receptors. This leads to renal vasodilation and the stimulation of the cardiac tissue. At lower doses, the drug has a predominant action on the dopaminergic receptor causing renal vasodilation (this will cause an increase in the urine output). At larger doses, the drug takes action on the Alpha adrenergic receptors causing vasoconstriction. Dobutamine is a racemic mixture of a positive and a negative enantiomer. The beta1adrenergic receptor is stimulated by the positive enantiomer and is responsible for the contraction of the myocardium. The negative enantiomer shows the agonistic action on the alpha1 receptor. In addition, it also stimulates the beta2 and alpha1 receptor in the blood vessel, with the predominant action being beta2 leading to the vasodilation of the blood vessel. In a landmark paper published in Circulation (although the sample size was less), it showed the effect of Dobutamine when given in a short duration of 3 days (rate of 5 microg/min), had the beneficial effect lasted for up to 4 weeks. This phenomenon is described as a “Dobutamine holiday“. There are concerns regarding the use in the short term in acutely decompensated patients following a report of an increase in the mortality with the drug. 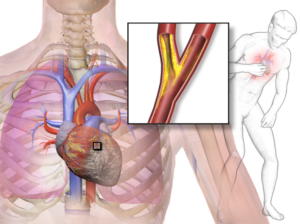 Dobutamine and Milrinone are to be used as a bridge therapy before the instrumental (mechanical), and surgical therapy is started in advanced stage 4 heart disease patients. It can also be used as a palliative therapy in non-responsive patients. Side effects of Dopamine include anxiety, headache, the sensation of vomiting, angina, atrial fibrillation, widening of the QRS complex on the ECG and the extravasation of the drug, during administration, needs to be avoided. The side effects of Dobutamine include ventricular premature contractions, palpitation, variation in blood pressure (both hypotension, as well as an increase in blood pressure), difficulty in breathing (dyspnoea), anginal pain, headache, nausea, and fever in some cases. Levosimendan and Pimobendan are the two drugs under this category. The troponin c in the sarcomere is responsible for binding to the calcium to bring about the contraction of the myocardial tissue. The levosimendan, by binding to the troponin c in a calcium-dependent manner, increases the calcium sensitivity of the myocytes. Thus, it is described as a calcium-sensitizing agent. The drug also has an agonistic action on the ATP-dependent potassium channel and activates it. This leads to the efflux of potassium leading to hyperpolarization and relaxation of the blood vessel. This decreases the preload and the afterload on the heart. In addition to the calcium-sensitising effect, Pimobendan has the PDE-3 inhibitory activity. It is mainly approved for veterinary usage and is approved only in Japan for human use. The main indication for the use of Levosimendan is in severe CHF patients who are acutely decompensated. A recent meta-analysis conducted in 2016 clearly shows the beneficial effect of Levosimendan in terms of decreasing the mortality in patients with heart failure. A decrease in blood pressure, arrhythmias, ischemic attack of the myocardium, a decrease in the serum potassium level, nausea, and headache. The drug is a 1:1 combination of Angiotensin II receptor type 1 inhibitor, namely valsartan and the neprilysin inhibitor namely sacubitril. The neprilysin is involved in the breakdown of substances which causes vasodilation, like bradykinin and natriuretic peptide. The sacubitril causes an increase in the concentration of these substances. The inhibition of the AT II leads to the decrease in the aldosterone concentration and decreases the ECF volume with additional dilation of the blood vessel. This class of drug has recently been approved by the FDA and has shown a decrease in the mortality, as well as hospitalization, of patients with heart failure. It was evaluated in a trial containing 8442 patients, named the PARADIGM-HF trial, and was compared with that of Enalapril alone. Hypotension, hyperkalemia, and impairment of the kidney function and the increased risk of an allergic reaction like angioedema (the risk of which increases with the co-administration with the ACE inhibitors). There is also a risk of dementia (due to neprilysin inhibition). These positive inotropic agents, which are discussed above, should not be used in angina, as it will increase the workload on the heart and will aggravate angina or may precipitate a new attack. The agents with a negative inotropic effect are used in the case of angina, and these include drugs such as beta blockers, calcium channel blockers (which includes Verapamil and Diltiazem), the class 1a antiarrhythmic agent (according to the Vaughan-Williams classification) such as Quinidine, Procainamide, Disopyramide, and Flecainide which is the class 1c antiarrhythmic agent. The beta-blocker acts directly on the beta 1 receptor of the myocardium. The calcium channel blocker decreases the concentration of the calcium by blocking the calcium channel. In addition, the conduction along the conduction pathway is mainly dependent on the calcium, which will be decreased by this drug. The class 1 antiarrhythmic act by means of inhibiting the sodium channel with the 1a showing intermediate association/dissociation to the sodium channel and the 1c showing the slow association/dissociation to the sodium channel. Among the ionotropic agent in heart failures, not a single drug stands as a clear superior drug. There is a daring need for new drugs which can afford the cardio-protectivity, along with the mortality and morbidity benefit. A small ray of hope has come with the arrival of Sacubitril/Valsartan, though it is too early to conclude. Rathore SS, Curtis JP, Wang Y, Bristow MR, Krumholz HM. Association of Serum Digoxin Concentration and Outcomes in Patients with Heart Failure. Jama. 2003 Feb 19;289(7):871-8. PubMed PMID: 12588271. Epub 2003/02/18. eng. Xiong W, Ferrier GR, Howlett SE. Diminished Inotropic Response to Amrinone in Ventricular Myocytes from Myopathic Hamsters is Linked to Depression of High Gain Ca2+-Induced Ca2+ Release. The Journal of Pharmacology and Experimental Therapeutics. 2004 Aug;310(2):761-73. PubMed PMID: 15064331. Epub 2004/04/06. eng. Cuffe MS, Califf RM, Adams KF, Jr., Benza R, Bourge R, Colucci WS, et al. Short-term Intravenous Milrinone for Acute Exacerbation of Chronic Heart Failure: a Randomized Controlled Trial. Jama. 2002 Mar 27;287(12):1541-7. PubMed PMID: 11911756. Epub 2002/03/28. eng. Amsallem E, Kasparian C, Haddour G, Boissel JP, Nony P. Phosphodiesterase III Inhibitors for Heart Failure. The Cochrane Database of Systematic Reviews. 2005 (1):CD002230. PubMed PMID: 15674893. Epub 2005/01/28. eng. Packer M, Carver JR, Rodeheffer RJ, Ivanhoe RJ, DiBianco R, Zeldis SM, et al. Effect of Oral Milrinone on Mortality in Severe Chronic Heart Failure. The PROMISE Study Research Group. The New England Journal of Medicine.. 1991 Nov 21;325(21):1468-75. PubMed PMID: 1944425. Epub 1991/11/21. eng. Liang CS, Sherman LG, Doherty JU, Wellington K, Lee VW, Hood WB, Jr. Sustained Improvement of Cardiac Function in Patients with Congestive Heart Failure after Short-term Infusion of Dobutamine. Circulation. 1984 Jan;69(1):113-9. PubMed PMID: 6357536. Epub 1984/01/01. eng. Pollesello P, Parissis J, Kivikko M, Harjola VP. Levosimendan Meta-analyses: Is There a Pattern in the Effect on Mortality? International Journal of Cardiology. 2016 Apr 15;209:77-83. PubMed PMID: 26882190. Epub 2016/02/18. eng. McMurray JJ, Packer M, Desai AS, Gong J, Lefkowitz MP, Rizkala AR, et al. Angiotensin-Neprilysin Inhibition Versus Enalapril in Heart Failure. The New England Journal of Medicine. 2014 Sep 11;371(11):993-1004. PubMed PMID: 25176015. Epub 2014/09/02. eng.